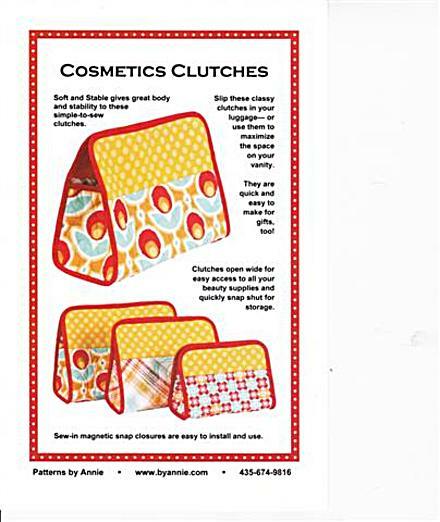 Quick and easy to make, these cosmetics clutches in three sizes open wide for easy access to all your beauty supplies. Hidden magnetic snap closures all the bags to quickly snap shut for storage. Slip these classy clutches in your suitcase- or use them to maximize the space on your vanity, Or make a few to have on hand for gifts. Who wouldn’t love a cute makeup bag?